Who's watching whom? "All the world's a stage, and the men and women merely players." We are each of us both actor and audience. Star or heckler: which is your primary role? 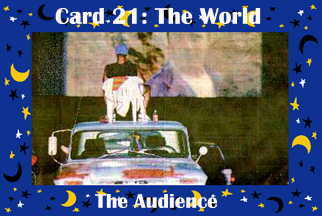 This drive-in audience was last seen at Rodeo Drive-In, Port Orchard, Washington.